Well, today is that day. 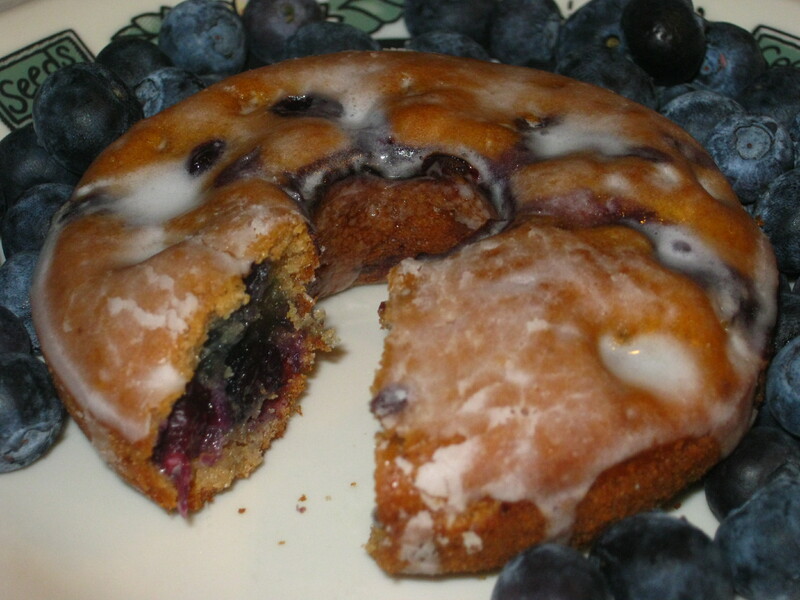 And in her honor I would like to say “Feliz Cumpleanos Mama” and share with you the delicioso recipe I came up with for her birthday Blueberry Cake Doughnuts. Why doughnuts, you may be asking. Well because she doesn’t eat cake but goes completely loco for blueberry doughnuts. I think they bring her back to her childhood when she would be allowed to get a doughnut when shopping at the grocery store with her mama and she would always get a Blueberry Cake Doughnut. Not the regular glazed doughnut, or the chocolate sprinkled one, but the Blueberry Cake doughnut. As odd as that may be, I still wanted to make her something she would truly enjoy for dessert. And in true Mama-fashion, she only ate two bites of it and wrapped up the rest for mi papa. Apparently she thinks he is the center of our universe as well. Smart lady (hmm, never thought the day would come when I would say that). 1) Pre-heat oven to 325 degrees. Spray a large doughnut pan with Pam and set aside. 2) Mix flours, baking soda, baking powder and salt in medium-size bowl. Set aside. 3) Mix milk, sugar, oil, eggs, vanilla and cinnamon in a large bowl. Add flour mixture and stir until well combined. Fold in blueberries. 4) Pour batter into doughnut cups and fill 2/3 of the way. 5) Bake 15-20 minutes or until a toothpick comes out clean when inserted. 6) Allow doughnuts to cool 5 minutes before removing the a wire rack. 7) Combine powdered sugar and milk in a shallow bowl. Dip completely cooled doughnuts into glaze and enjoy! Thank goodness this day only occurs once a year. I don’t think I can take having to spend any more time away from mi papa. You have the cutest dog ever! 🙂 I have a chihuahua too! Gracias Whitney! 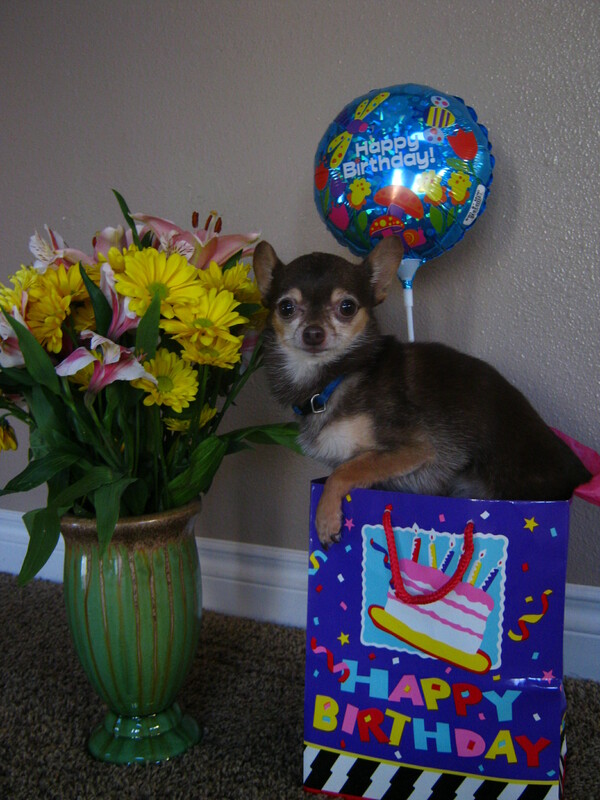 Chihuahuas are pretty much the bomb dot com. I would love to see a picture of your’s. Is it a little boy or girl? That cake doughnut looks absolutely divine, Teeny! What a great way to celebrate tu mama’s birthday! As much as I’d love to live close to you, it is better for my waistline that I live far far away. How do you stay so trim and slim? Hope you are staying warm these days. Gracias Tia Annie! She did have fun celebrating her birthday, and she especially loved the card you sent her. Mucho awesome!